Have you ever wondered what it would be like to walk where Jesus walked? I have. Some friends of mine have been to Israel and done various walking tours there. They’ve been kind to share pictures with me, and when I look at them, I’m amazed. I can’t imagine what it would be like to feel the breeze blow through my hair as I stand outside in the same spot Jesus fed the five thousand. Or to drink of water from the well where Jesus spoke to the Samaritan woman. To see with my own eyes the tomb of Lazarus, where Jesus stood calling his to come out from beyond the grave. Or sit at the Mount of Olives, where Jesus ascended to heaven. I can’t imagine these things, because I’ve seen the pictures. If you’ve been on one of the walking tours, you would understand the need to be physically fit. Not just because you’re walking all over Jerusalem. But because to fully experience these beautiful and captivating historic sites, you need to duck and squeeze through small places. You need to crawl on your knees in some spots. Not everything is out in the open on display. I have learned to be content with whatever I have. I know how to live on almost nothing or with everything. I have learned the secret of living in every situation, whether it is with a full stomach or empty, with plenty or little. For I can do all things through Christ who gives me strength. Here Paul was addressing the Philippians who had expressed concern about his physical well-being, but I think we often could take his words further. We can be content with our circumstances, no matter what they are. Whatever it is that keeps us from doing something we might like to do – whether it be physical, mental, financial – we need to be content with our circumstances. Here’s the thing – we are actively living out God’s plan for our lives, whether we are aware of it or not. He knows every little detail of our story, and what we are going through right now that may restrict us or conflict us is all part of H is plan. Even if we are dealing with the hard stuff. 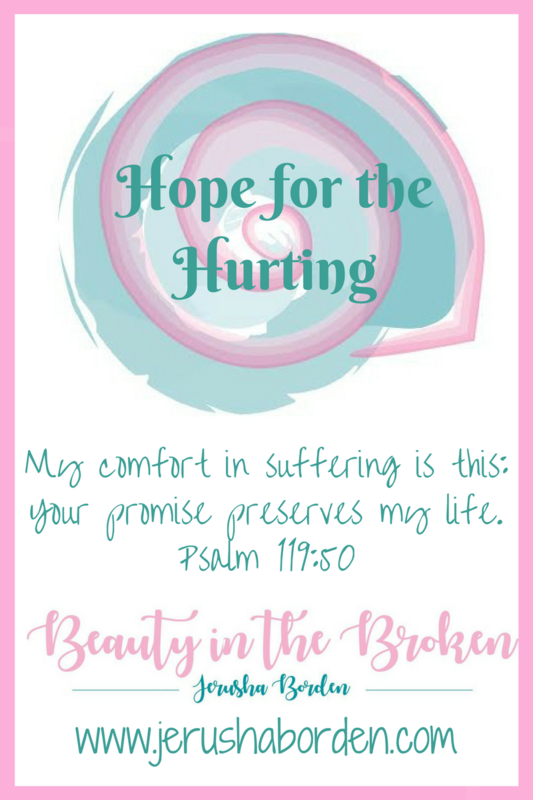 God knows how to take our messy lives and desperate situations and make it beautiful. Learning to be content in the beauty AND the broken is the ultimate gift. As I was scrolling through my friend’s photos on Facebook, I saw his grinning face as he stood in front of the Jordan River. I couldn’t help but grin back at him, even though my heart longed to be able to dip my feet into the very place where my Jesus was baptized. And in that conflicting moment, it was as if Jesus himself whispered these soothing words over that sad place in my heart. You may never walk where I walked while you are on this earth. But you will one day walk beside me in glory. Oh, how my heart soared with that truth. With tears in my eyes, I set down my phone and thanked Him for those words. They illuminated the future I can sometimes forget as I stumble through this life. One day, I’ll be perfectly whole. He who gives and takes away has a plan that includes brokenness and healing. I pray this truth won’t be so easy to forget as I navigate this life. I pray the same for you too. With every breath we breathe, we are living out His plan. Let’s align our hearts to live in His will, too. And let’s pray for contentment in our circumstances, especially when it’s a tough season. Because that’s when His glory is revealed. Another inspiring post! Maybe someday I will share with you my mom’s story and her desire to visit the Holy Land. She never got the opportunity but none of that matters now. She walks with the Holy One in glory for eternity and her joy is complete. God bless you my friend.